Virtual Warehouse - Coast to Coast Fulfillment, Inc. Operate a Virtual Warehouse with Coast to Coast Fulfillment, Inc.
Coast to Coast Fulfillment's Virtual Warehouse gives you access to a physical warehouse and a database for your products and orders that are as close as your internet connection. Increase sales without increasing your overhead costs. Your order processing expenses are automatically scaled to match your sales volume. Be free to focus more on marketing and manufacturing. We will handle the other details. Boost productivity and efficiency. 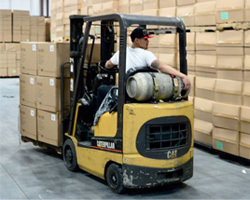 We specialize in warehousing, processing of orders & returns, and customer service. We process orders quicker, more accurately, and at less expense than our clients can do so by themselves. Make strategic decisions faster. You have instant 24/7 secure access to your inventory and data from any Internet connection. Better B2C customer service. Our online and telephone customer service representatives assure that your customers get one-one-one service to insure their satisfaction and improve your online reputation. Software and database is always up-to-date and secure. We update and maintain state-of-the-art software for all your inventory reporting, and for processing orders from all leading online shopping carts and via E.D.I. from major retail stores. chains. With Coast to Coast Fulfillment as your virtual warehouse, you will have the strategic advantage of a location on the East Coast in Rhode Island, closer to the majority of the U.S.A. population and to most distribution centers. Contact us now for more information about how we can give you the advantages of a virtual warehouse.